Description: Alexander Calder was a world famous artist who delved into abstract expressionism. Not only was he famous for his bright colorful pieces, but also for his bright colorful mobils, which sometimes were up to forty feet across. 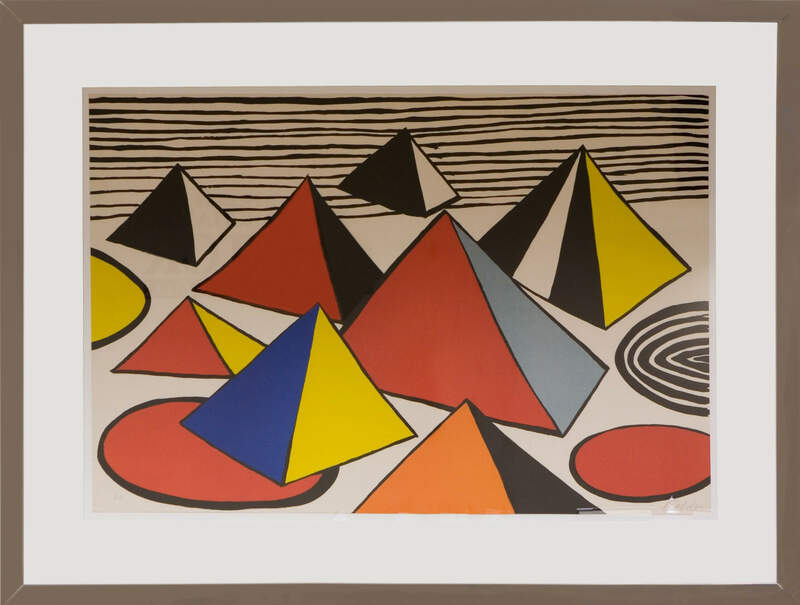 In this particular piece the pyramids represent the mountains and the wiggly lines represent the sea. What the circles represent is anybody’s guess.